Emily Weiss is the people’s princess of the skincare and beauty world. She created Into The Gloss (ITG) from her apartment in 2010, a beauty blog that now attracts 1.5 million unique visitors per month. ITG’s refreshing philosophy of ‘skin first, makeup second’ meant it became a regular watering hole for Instagram-savvy skincare and beauty enthusiasts. Part of ITG’s phenomenal success stems from its down to earth approach to this often overly-hyped subject. ‘The Top Shelf’ is a regular feature which provides a periscope into a celebrity’s bathroom cabinet, allowing access to those of us who still think face wipes are virtuous, to the nitty gritty of the beauty routines from the likes of Kim Kardashian, Emma Watson and even Martha Stewart. Through ITG, Weiss had unparalleled understanding of the grooming routines and products that were lauded by the world’s most beautiful people. She understood, better than most, what her loyal ITG community were missing and what they wanted from a beauty brand. From these ingredients, Glossier was born in 2014. "Glossier is distilled from years of recommendations from the coolest girls on the planet" reads its website. By democratising the industry’s previously well-kept secrets and serving up products for organic lemonade prices (everything is between £10-£35), Glossier is the hottest challenger to traditional skincare and beauty brands around, and has raised over $34m in funding. Weiss is experienced at creating fantastic content and she treats creating Glossier’s products in the same vein. Take the packaging, for example. The products come in a pink bubble wrap ziplock pouch. It’s become a recognisable, shareable icon and is often used as a travel makeup bag by beauty editors. The packaging stands out and is named imaginatively, but its function remains obvious – e.g. milky jelly cleanser and cloud paint. Glossier also shares no-frills videos of exceptionally beautiful people messing about with the products. When it comes to IRL (Gen X speak for In Real Life), Glossier also delivers. Its showrooms are a hybrid between an Apple store and a glamorous dressing room, with a focus on ensuring the environment is extremely photogenic for Instagrammers. The brand has even smashed the conventions of the category by continuing to promote other beauty brands on ITG. 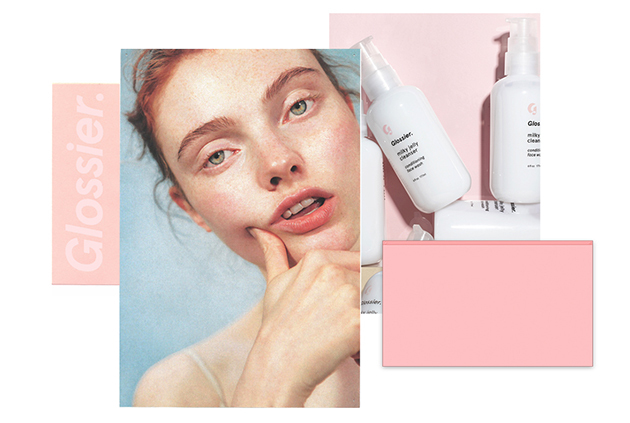 This approach reflects the reality of the consumer’s desire to mix and match, and ITG’s impartiality only strengthens Glossier’s appeal. Skincare and beauty tips often tend to be passed down from mother to daughter. Glossier are bucking that trend and proving to be a brand that many are proud to pass from daughter to mother. It's a shift that could have a dramatic impact on Glossier’s fortunes in 2018.